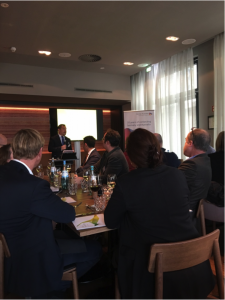 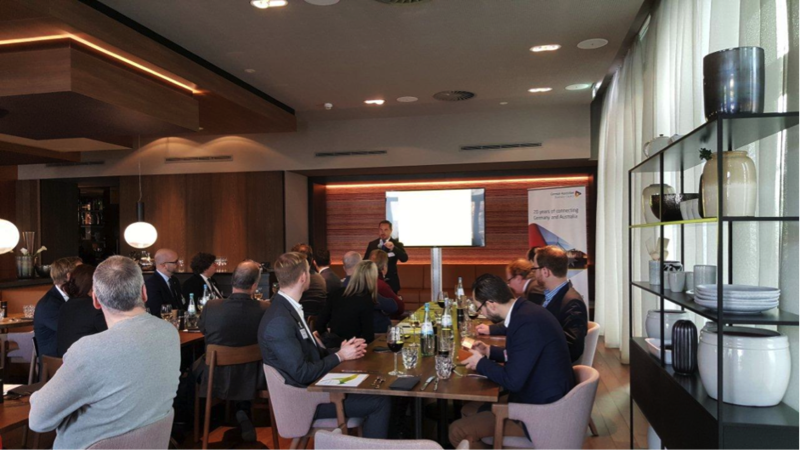 The German Australian Business Council kicked off its 20th anniversary and first official event of 2017 with our Australia Day Business Networking Lunch at the newly opened Adina Apartment Hotel Frankfurt. Our special guest all the way from Sydney was Mr Jason Collins, Chief Executive Officer of the European Australian Business Council, who provided us with a thorough background and fascinating insights into the proposed Australia – European Union Free Trade Agreement. 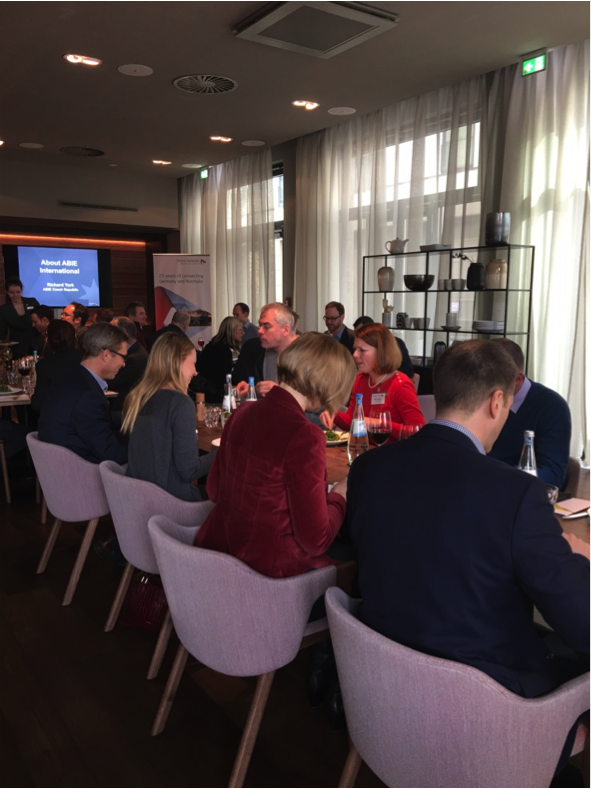 The session sparked off a great deal of discussion among the 35 participants as they debated the opportunities and challenges of the proposed agreement. 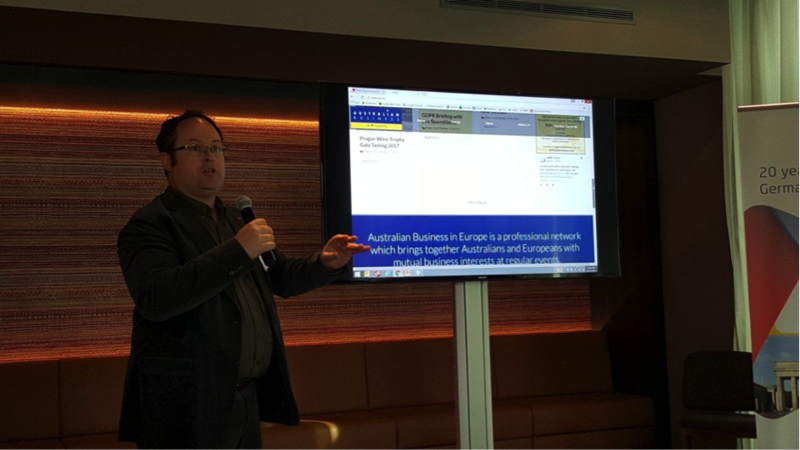 Mr Richard York, fellow member of the Australian Business in Europe network, ABIE Czech Republic also joined the event to launch the new ABIE International website. 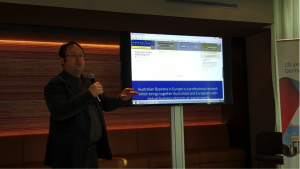 Abie.eu is a collaboration between the different ABIE groups – currently Australia, Czech Republic, France, Germany, United Kingdom – and provides a common platform highlighting various initiatives taking place across Europe. 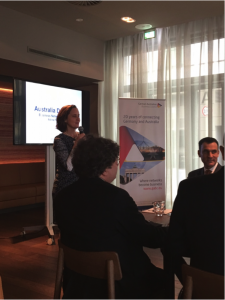 Those in attendance were also treated to an Australian menu comprising fresh seafood, lamb, and Pavlova specially created by the Adina team.